Recently many medical accidents occur in Korean plastic surgery clinics. There are also rumors about what they call "shadow doctors" in those clinics. Many talk about how dangerous plastic surgery is and become very careful about getting one. Patients are worried about the safety of plastic surgery. If someone who you had never met comes in while you are under anesthesia and does the surgery, that would be horrible. But then, how would a patient under anesthesia notice whether a different doctor comes in? "Shadow surgeon", by the words themselves, means that the doctor is just a shadow without a face. There is a doctor who does the consultation with the patient and there is another doctor who does the surgery. However, the patient does know about this so it is unethical to have a shadow surgeon and another one who consults the patients. 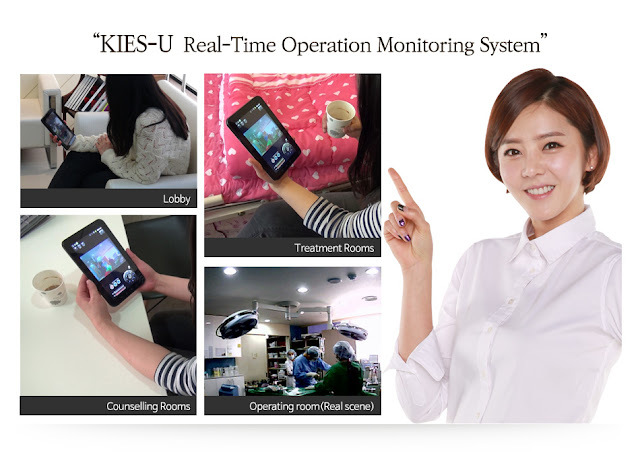 Real Time operation monitoring system of KIES-U plastic surgery Korea started on march of 2014. Related members of the patients need to know what is happening inside the surgery room in order to recover the trust between the doctor and the patient. The best method to turn patients' deeply-rooted distrust in hospitals into trust, is making it possible for the relative members to see real-time activities in the surgery room. They will be able to see from the anesthetic stage until the patient comes out from the room. They will be able to check if the patient is being treated properly or not, and if the surgeon and members of the clinic are not doing anything inappropriate. 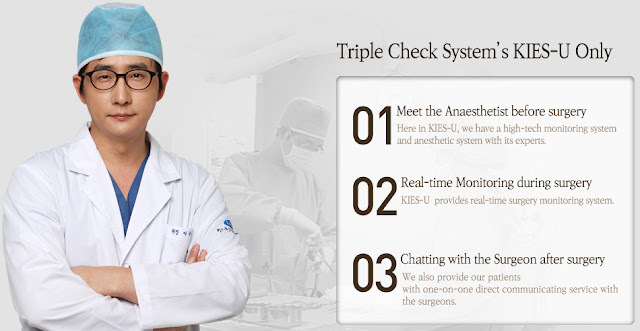 There for the Real Time operation monitoring system is necessary. Thank you so much for the best information. It was really good to know about Korean Plastic Surgery Clinics. I read a similar blog to this witch with would help you enhance your knowledge about Korean Plastic Surgery Clinics. Keep up the good work.